Confirm Attendance or Buy Your Ticket! 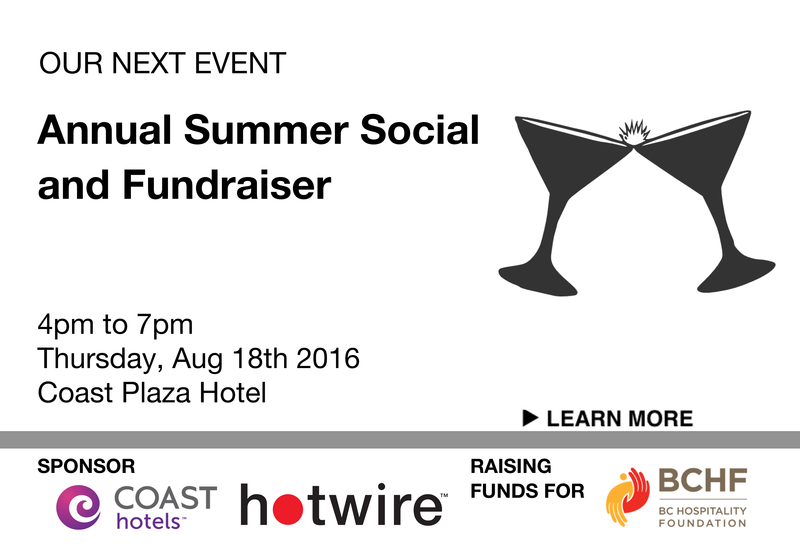 We're excited to announce our annual Annual Summer Social and Fundraiser which will be held on August 18that theCoast Plaza Hotel. This event is free for all HSMAI Members! Secure your tickets today and stay tuned for more information.